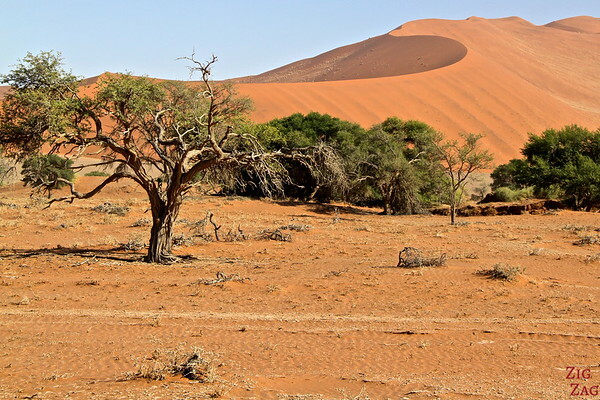 After a sunrise near dune 45, a typical activity to to cross the Sossusvlei high sand dunes until Deadvlei, the Dead Lake and its dead trees. Here are some pictures of my 3 hours walk in this incredible orange landscape. 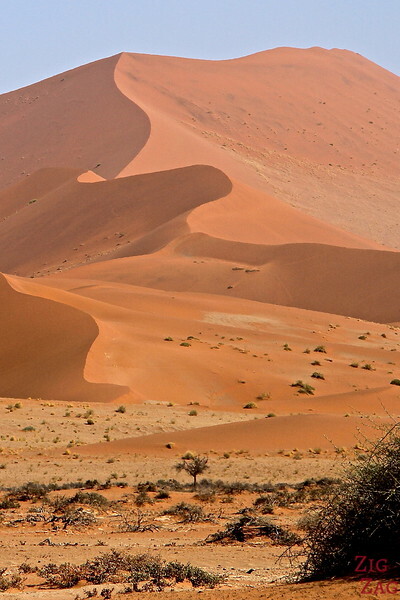 Situated in the the Namib-Naukluft National Park, Sossusvlei is Namibia’s most famous attraction. 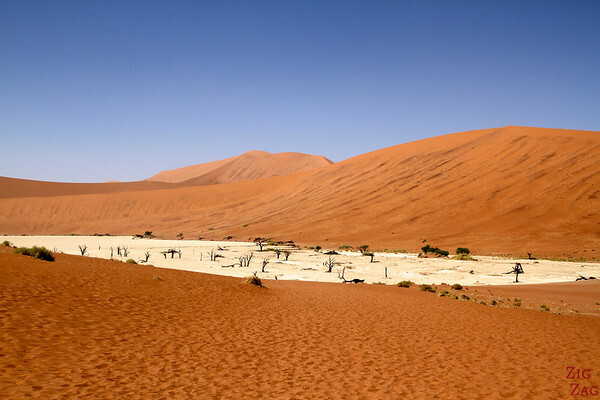 It is a large, white, salt and clay pan surrounded by large red dunes. 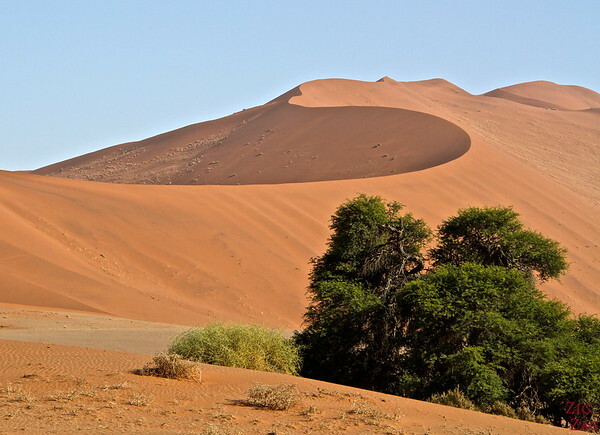 The dunes in this area are some of the highest in the world, reaching almost 400 meters. 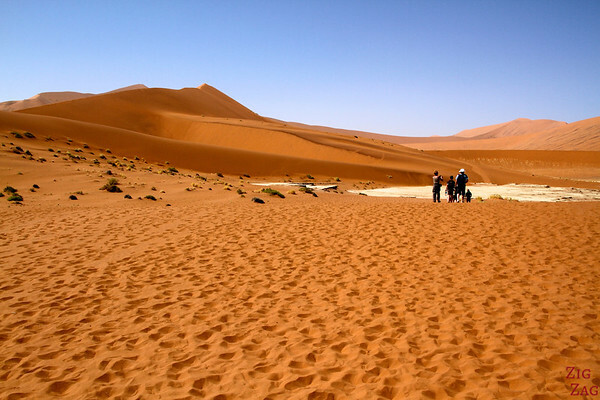 Despite the harsh desert conditions, you can still find a variety of plants and animals that have adapted to survive. 68 km from the Sesriem gate. The last 6km can only be driven by 4WD. Be sure to take plenty of water. 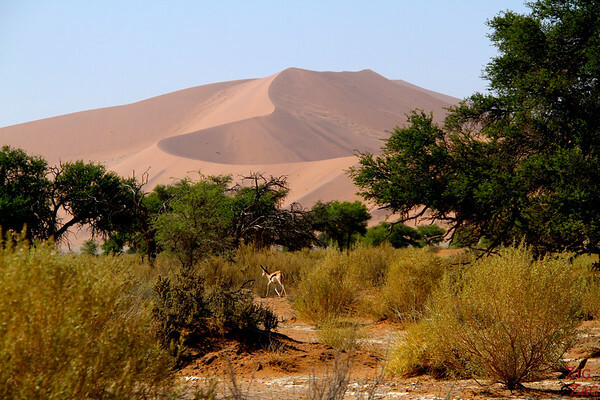 So we did a 3 hour nature walk between the sand dunes of the Sossusvlei area during which our guide explained us some plants and showed us tracks of animals. We had time to take it all in, admire each dunes from all angles. Walking in the sand was a more difficult but a more rewarding way of reaching the dead Lake than the jeeps. 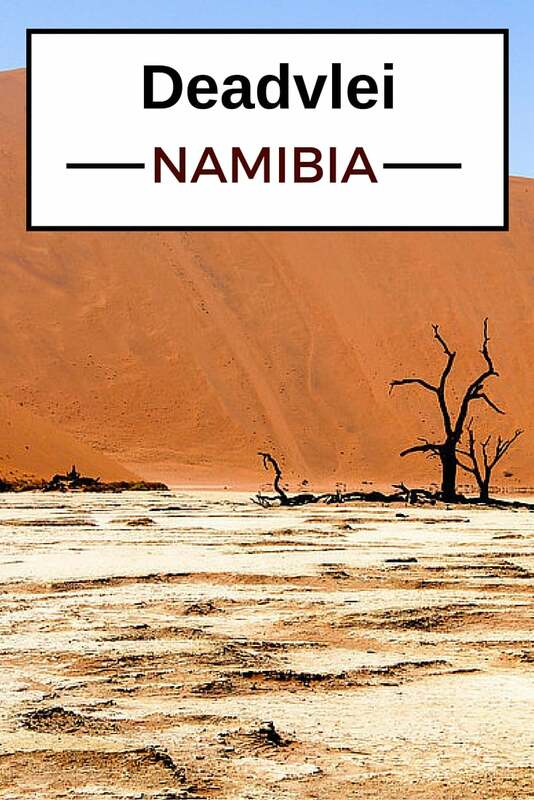 If you want to see more pictures of those sand dunes, you can check Erika's Travels article about Namibia's Great Sand Sea. Look at the contrast between the salty floor of the pan, the intense orange of the dunes and the deep blue of the sky! Deadvlei is one of my top 5 places to visit in Namibia. I was so tired I sadly do not have many pictures of those amazing dark trees contrasting with the orange sand dunes, the white pan and the deep blue sky. 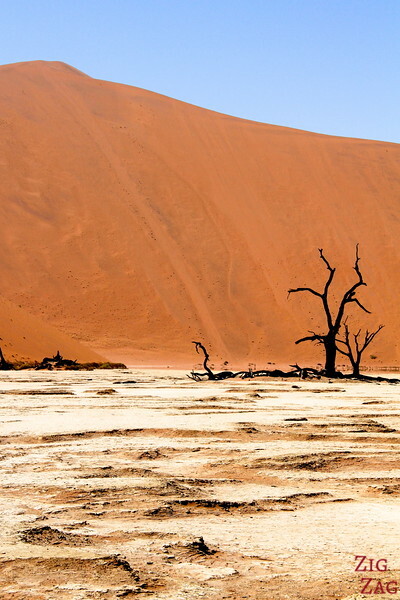 For more amazing pictures of Deadvlei check out this Huffington post's article on the most beautiful 'dead' place. Incredible landscapes, don't you think?